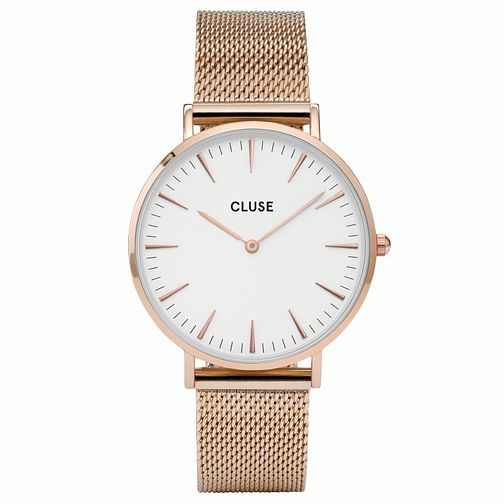 Cluse Ladies' La Bohème Rose Gold Plated Mesh Bracelet Watch is rated 4.7 out of 5 by 3. Rated 4 out of 5 by Anonymous from Elegant and simple This watch is elegant and simple, and stands out on the wrist. Rated 5 out of 5 by Anonymous from Beautiful classic watch Beautiful watch, classic design and great quality.